Letters From A Tapehead: Emily Wells: "Becomes the Color"
Emily Wells: "Becomes the Color"
"Becomes the Color" is a new single from electronic musician Emily Wells that will be featured in the soundtrack for the upcoming Park Chan-Wook (Oldboy) film, Stoker. The soundtrack also features the scoring work of former Pop Will Eat Itself guitarist, Clint Mansell, whose been busy scoring Darren Aronofsky films (the noteworthy musical centerpiece of Requiem for a Dream, "Lux Aeterna," was composed by Mansell), and composer Philip Glass. On March 1, 2013, Fox Searchlight Pictures will be releasing Stoker, visionary filmmaker Park Chan-wook's (Oldboy, Sympathy for Lady Vengeance) newest film starring Mia Wasikowska, Matthew Goode, Dermot Mulroney, Jacki Weaver and Nicole Kidman. The film revolves around India (Wasikowska), whose father dies in an auto accident. Her Uncle Charlie (Goode), who she never knew existed, comes to live with her and her emotionally unstable mother Evelyn (Kidman). Soon after his arrival, she comes to suspect this mysterious, charming man has ulterior motives, but instead of feeling outrage or horror, this friendless girl becomes increasingly infatuated with him. 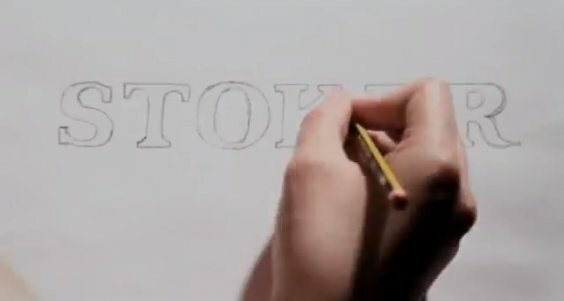 Milan Records will be releasing the Stoker: Original Motion Picture Soundtrack on February 26, 2013 and it features an exciting line up of visionary artists. Clint Mansell (Black Swan, The Fountain, Requiem for A Dream, π), one of the most innovative and exciting working contemporary composers and longtime collaborator of Darren Aronosfky, provides a striking score that both highlights and heightens the themes throughout the film. Renowned composer Philip Glass, responsible for some of the most compelling works of the last forty years, contributes an original piano piece. 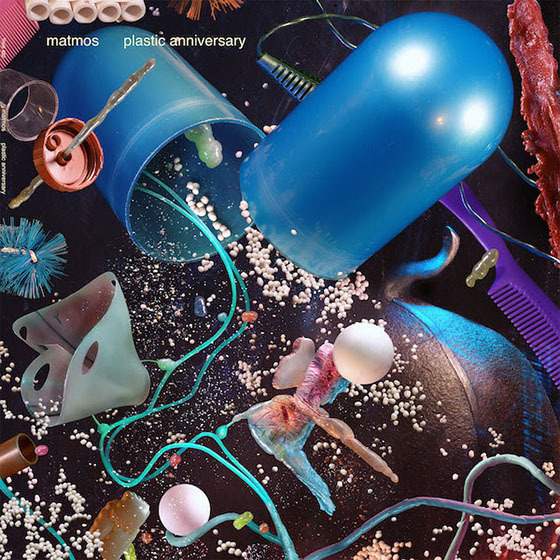 One-woman orchestral/electronic tour-de-force Emily Wells contributes the original song "Becomes the Color" (which premiered via Entertainment Weekly in December) in addition to a collaborative track with Mansell. The soundtrack is rounded out with "Summer Wine" by Nancy Sinatra and Lee Hazelwood. Mansell will be performing two shows to support the release of Stoker in NY on April 3rd and 4th at Church of Saint Paul The Apostle in addition to a show at The Orpheum in LA on April 6th. He will be accompanied by a nine piece band and will be highlighting selections of music from Stoker, in addition to other selections of his film score repertoire. 2. Emily Wells: "Becomes The Color"
4. Clint Mansell: "Uncle Charlie"
6. Clint Mansell: "The Hunter & The Game"
8. Nancy Sinatra & Lee Hazelwood: "Summer Wine"
9. Clint Mansell: "A Family Affair"
12. Clint Mansell: "Crawford Institute (Family Secrets)"
14. 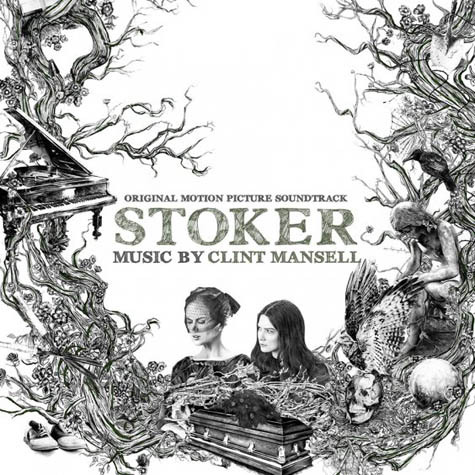 Clint Mansell: "The Hunter Plays The Game"
15. Clint Mansell: "In Full Bloom"
16 Clint Mansell: "The Hunter Becomes The Game"
18. BONUS TRACK: Clint Mansell & Emily Wells: "If I Ever Had A Heart"